In an ideal world these blogs seek to alternate research/information with modelling subjects but that is not always practical. The research/information aspects are more often than not ongoing and finding the appropriate balance between the amount of data and a concise yet meaningful post is sometimes a challenge. This is one of the great impacts of the internet age, the polarising of quantity and quality, probably related to the blurring of opinion and knowledge as the narrow faucet of the published copy, tight network communication of the pre-internet age has become the deluge of the global highway (actually more ocean than highway). One of the unfortunate results is that even printed copy is now seeking answers online and reproducing opinion as knowledge or knowledge in partial, misquoted or misunderstood chunks where it is then cited online and so on. The Great Imperative is modelling inspiration - profiles, paint colours and decals - eye candy that as the imagery quotient provided by the internet balloons hugely, must compete ever harder for originality, something different for the weekend. But more than anything else, something unequivocal, simple and black or white, no shades of grey required. Within that trend is the somewhat "paradigm paralysis" concept of consensus. The desire there is not to produce a howler, something which is so "wrong" that the experts will snort and sniff their disdain at it, and one might then feel "out of the loop", "behind the curve", not cognisant of the latest trend or thinking (but by who?). Recently I read an interesting observation that "when you can actually prove something you don’t need a consensus. That’s why you never hear about the consensus on gravity". And exactly what is the consensus on any given subject? Modellers are always asking for it but pinning it down to what, where and who is like knitting fog. In my more misanthropic moments I sometimes think consensus is a deliberate obfuscation of those endangered species: knowledge, evidence and proof (a rare commodity indeed in this field) in order to permit free rein to speculation and it is speculation that motivates many modellers, although they may not want to admit it. Drawing conclusions about what to paint a model from forum threads and a bit of Googling is not real research, although quite a few modellers who write articles in magazines seem to think it is. And all too often the distinction between the best way to paint a model to look convincing and the real paint colour is not made. The speculative part of modelling often joins forces with that other subjectivity - personal preference. It takes some amount of self-discipline to pursue a project seeking to imitate a colour scheme, say, that one does not actually like. Very few will come at a subject without some degree of preference - or prejudice - and this often colours (literally) the result in the face of any known facts. There is nothing whatsoever wrong with articulating or executing personal preference - or subjective interpretation - in modelling. It is an inherent part of the creative process. The problem lies in the tangible result being presented, or perceived, as a source of reference itself, often in turn fueling the imaginary online "consensus". Imitation becomes a trend, and trend then becomes that unstoppable force the modelling convention. Crudely, this is what I think consensus may be, the latest hobby paint X generally approved of as the colour for aircraft Y. Go against such forces at your peril. Back to the Zero, and somewhere between the research/information and modelling posts lies the soapbox which I'm about to step up on. Up to about the mid-1980's the "off-white" for the Zero was in vogue, perhaps as a result of photos like this one. This idea was replaced for a relatively brief period up to the mid-1990's when Japanese sources favoured a definite bright blue-grey and the hobby paints conceived in that era reflect it - and are in some cases still in existence. Model Art's "Zero Fighter", #242 of 1984, has beautiful blue-grey models and even a real paint chip of the brightest blue-grey. Even as late as 1995 Model Art # 454 was depicting these same bright blue-grey or neutral grey Zero models, as with these examples of the Hasegawa 1/72nd scale new-mold kits released at that time. The hobby paint colour suggested in the instructions for these kits was "Gunze" (GSI Creos) H61 IJN Gray, a glossy pale, slightly blueish grey, similar in appearance to FS 36373. Within a year, however, the first inkling of revision based on factual research in the West had appeared. 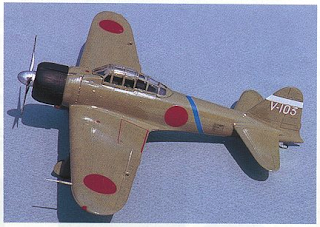 In the late, lamented Asahi Journal, Issue # 4 of Volume 2, published in February 1996, James F Lansdale's article "Factory Applications of Paint Schemes for the Japanese Type Zero Fighter Aircraft 1939-1945" broke new ground. It was, and is, a seminal article, based on the examination and matching of actual, extant paint samples from a documented range of Zero aircraft artifacts. 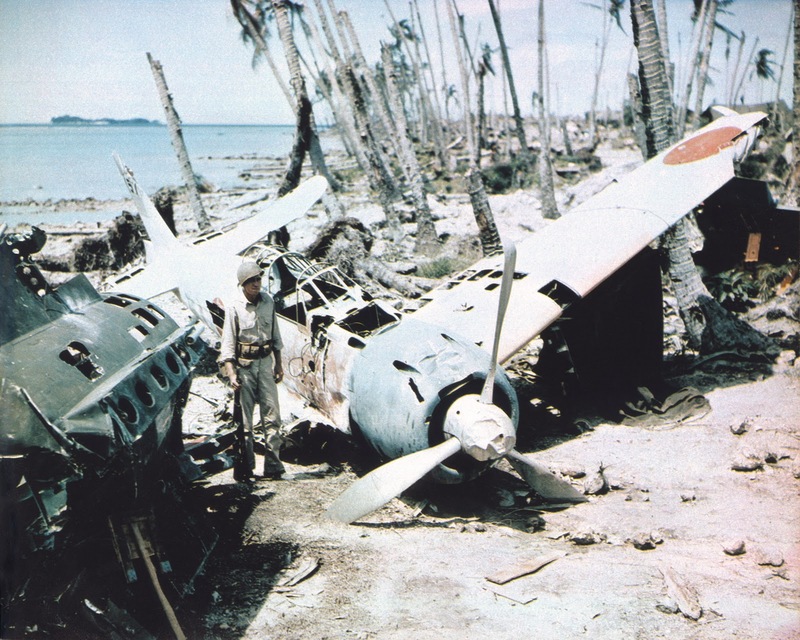 This report is still to be found on the j-aircraft.com website and I urge readers to acquaint, or re-acquaint, themselves with it. Mr Lansdale admits that this published article is due for revision, but more from the perspective that there are now many more samples to reference and add as evidence to that body of work than from any inherent flaws. The knowledge integral to this work took root not only in the West but also in Japan as Mr Lansdale's reports and research had already appeared in "The Illustrated Zero Fighter" by Shigeru Nohara published by Green Arrow in 1995 and subsequently in Scale Aviation magazine (Japan) Vol. 3 in August 1998. It was also presented in commercial publications in Europe, in English, French and Polish languages. Shigeru Nohara then incorporated and re-emphasised this new information, in collaboration/co-authorship with Mr Lansdale, in an article on early Zero colours which appeared in Model Art # 510, "Camouflage & Markings of the I.J.N. Fighters" in 1998. A reproduction and translation of this article may be found here. 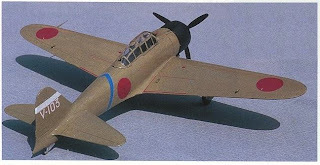 The article included colour photographs of a Zero model painted to depict the "new" colour (shown here). Mr Nohara also referred to the reaction in Japan to the Green Arrow information - "At that time many were surprised and questioned whether the colors were accurate." Mr Nohara went on to conclude that "Based on this incontrovertible evidence, we must all dispose of the image we have had until now of all-gray Zeros." Amen. The most telling aspect of Mr Lansdale's report is not just that it has stood the test of time but that it has been vindicated repeatedly by independent corroboration on an international basis. The conclusions are consistently verified and Mr Lansdale's original, subjective visual matches have proven to be consistently accurate when compared to values derived from independent measurement using photospectrometric equipment. The significance of this can perhaps be gauged from the fact that I was one of the early sceptics who has reconsidered after verifying and validating the original colour values from a neutral, if not opposing, viewpoint. 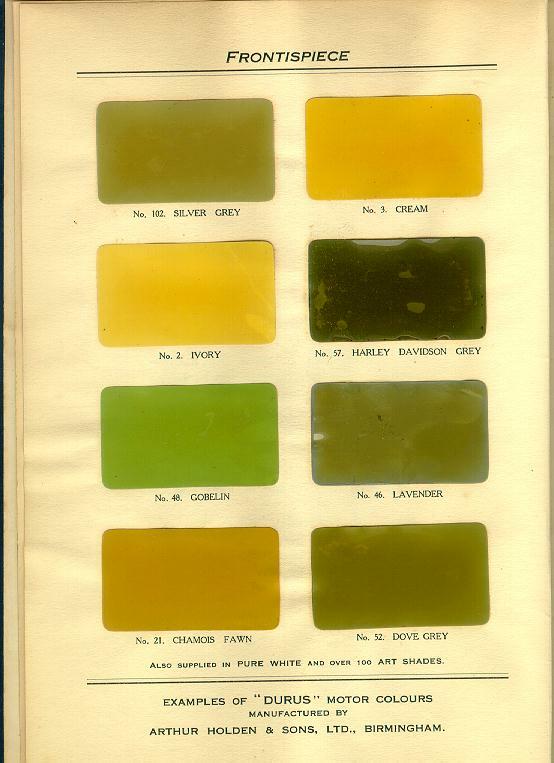 This does not mean that I concur with everything subsequently posited, but in terms of the current appearance and accuracy of the measured colour values of the bulk of extant paint samples there can be no doubt. 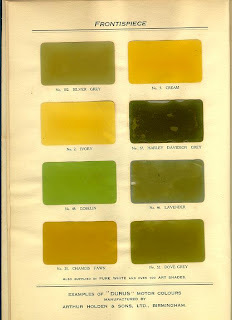 Further, these colour values are entirely consistent with the contemporaneous description of Zero factory paint in the YoKu 0266 report and the Naval Headquarters published maintenance manual. This also suggests, strongly, that thermal aged colour shift has not been significant in terms of hue change and that the present colour appearance is not just the result of such shift, as hypothesised by some researchers in Japan. In paint degradation terms the effects of UV and environmental exposure on the top surface of the paint or of thermal ageing on the underlying paint cannot be cherry picked to suit a proposition. They occur simultaneously, one with the other, and tend to "pull" the colour appearance in opposite directions. 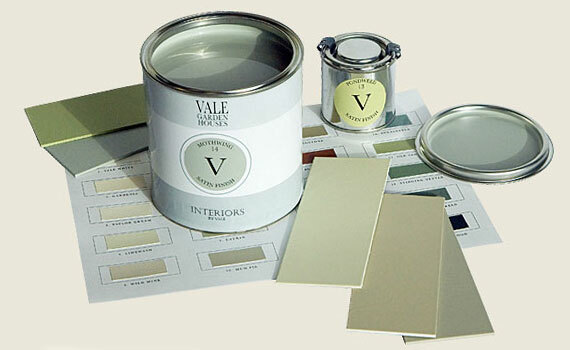 The surface paint can become lighter and greyer whilst the underlying paint can become darker and yellower. It is a misnomer to believe that an original paint surface protected from light will remain unchanged. In fact the tendency is for it to darken and yellow slightly, usually caused by "brown shift" in the binder. Modellers will understand this from the yellowing of decal varnish and the fact that UV exposure bleaches out this yellowing. It is also incorrect to assume that a paint surface which is still glossy has not shifted in colour. Gloss retention is a separate aspect and paint can and does retain glossiness whilst shifting in hue or brightness. The shift can be quite small and not always immediately apparent to the eye or conversely quite fundamental. The most extreme I have seen is from a pale blue-green to a café au lait colour where the original paint colour could only be verified from the constituent pigments. Which is why the question of original pigments is so important to archeological paint colour analysis. It's not enough to simply maintain that the paint colour has shifted and to posit alternative colour descriptions based on imagery which is not directly related to actual paint surface appearance or which is based on the interpretation (or assumption) of colour values which have not been conclusively identified. The colour shift, if any, has to be quantified and related to other tangible evidence such as the original pigments and constituent materials (if known), extant samples, contemporaneous specifications, reports and/or official paint colour standards. The latter are important, and in the case of both the IJN and JAAF, survive in archives but the "missing link" is the absence or paucity of official instructions on which colours were to be applied and in what circumstances. The creation of a colour for which there is no tangible archeological evidence, referenced to a paint colour standard which does not actually corroborate it in terms of measured colour value is deeply flawed. It is irresponsible to insist on the Zero paint colour as "Hairyokushoku" (ash green colour) and link that directly to the Kariki 117 'M' series of that name, even when service personnel (and the original aircraft designer) may have used the term colloquially, but especially in the absence of any artifacts which genuinely reflect this appearance. Even those artifacts that may do so superficially require an objective analysis to eliminate the possibility of oxidisation, the chalking of the paint surface and/or pigmentation fade/shift. Working from colour photographs is futile. Blindly believing something to be true does not make it so and is not the basis upon which to begin any investigation. The known facts have to be marshalled, the evidence (all of it) examined objectively and then the conclusion is drawn, together with any caveats. All too often modelling community researchers begin with their preferred conclusion, then marshall the facts subjectively to present the evidence in a way that supports the pre-determined conclusion. Unfortunately debate also often gets hung up on personalities rather than the merits of the argument and too often in any given hypothesis lies an agenda. The honesty of "I don't know" is more often than not followed by "but". It is a paradox that all too often these tendencies undermine the impact and even credibility of a genuine and valid research output like "Factory Applications . . .", together with those inherent characteristics explored in the first few paragraphs of this blog post. Very interesting article, Nick. I think the model built by Mr. Nohara looks very nice. Thanks a million. Thanks again for another great article. I've simply GOT to hit the modeling bench again this year (been gone for over two years. ), and your postings only serve to inspire.